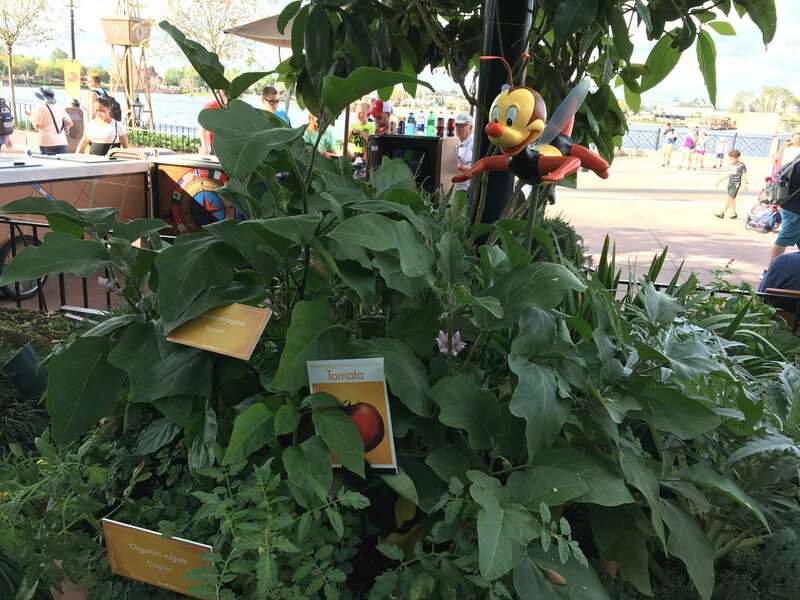 It’s the 25th annual Epcot International Flower & Garden Festival, and this year they have introduced a brand new scavenger hunt. 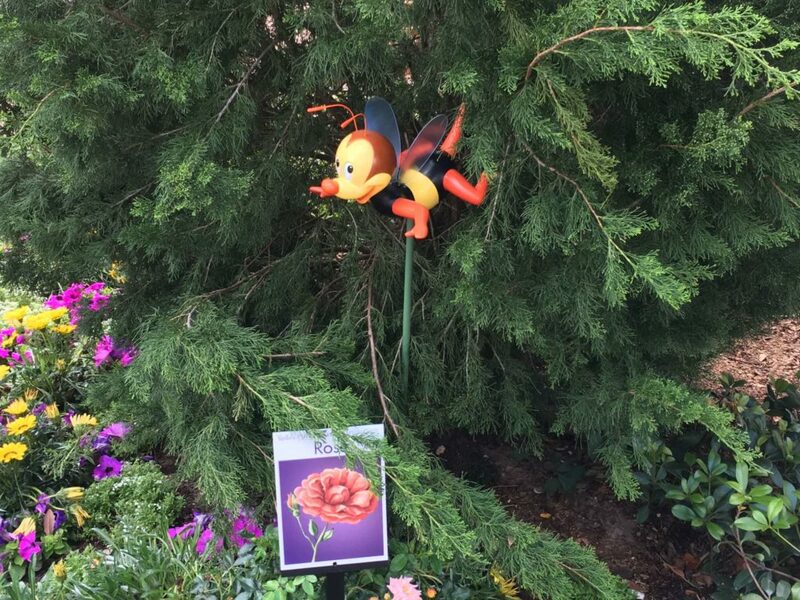 Spike’s Pollen Nation Exploration has us looking all over World Showcase to find the little lovable honey bee, Spike. 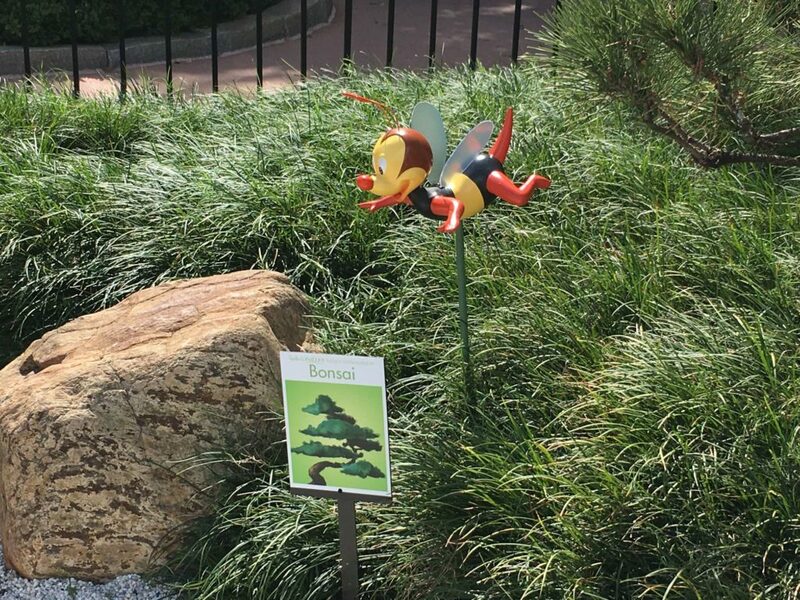 He can be found pollinating flowers in 12 gardens around the lagoon. 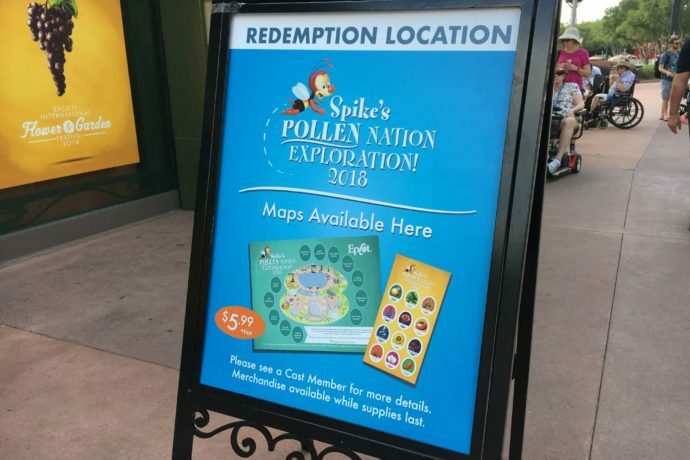 To participate in Spike’s Pollen Nation Exploration you have to purchase a map and stickers set from Pin Central, Port of Entry, or other select gift shops. 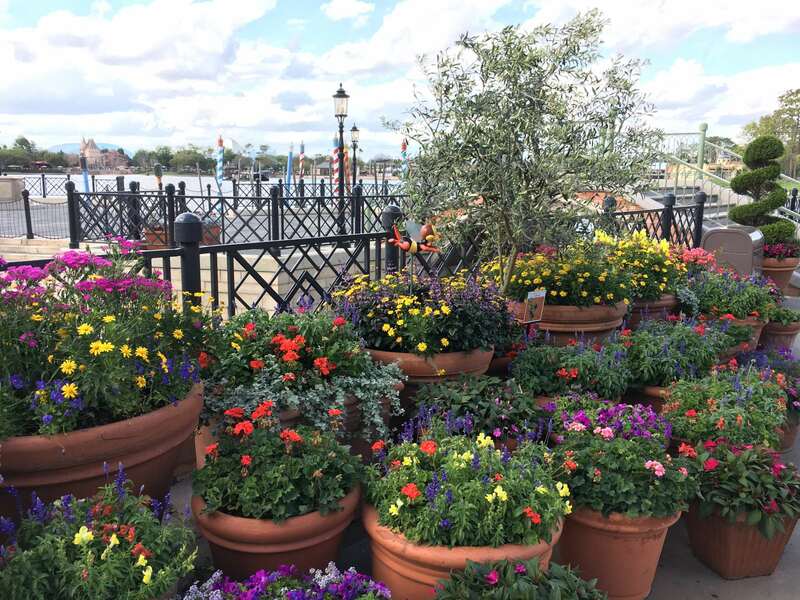 They cost $5.99 plus tax per set. 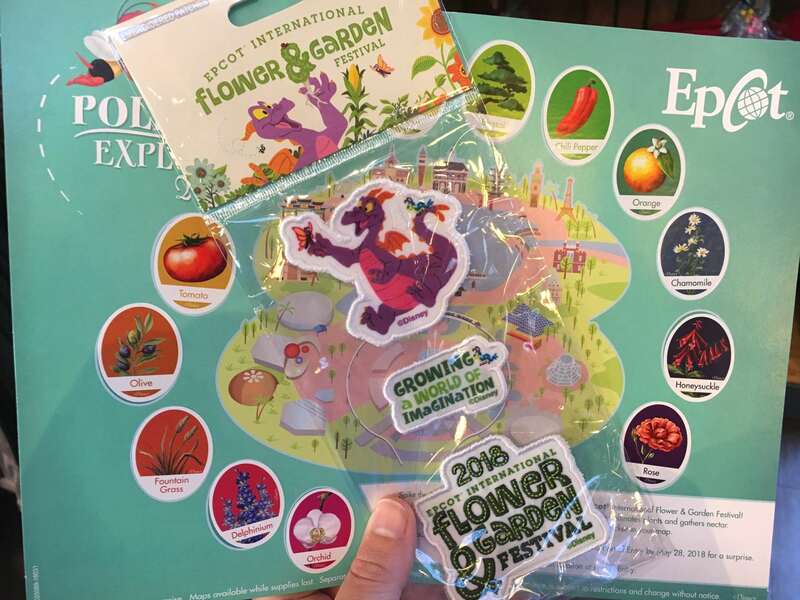 Once you find Spike in all 12 gardens you can redeem your completed map for one of four different festival patch sets. 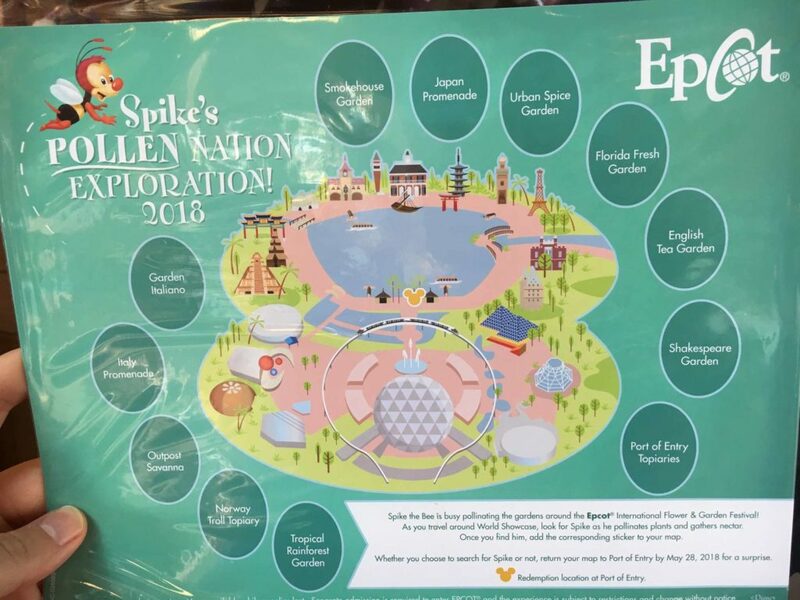 Each patch set includes 3 different patches. 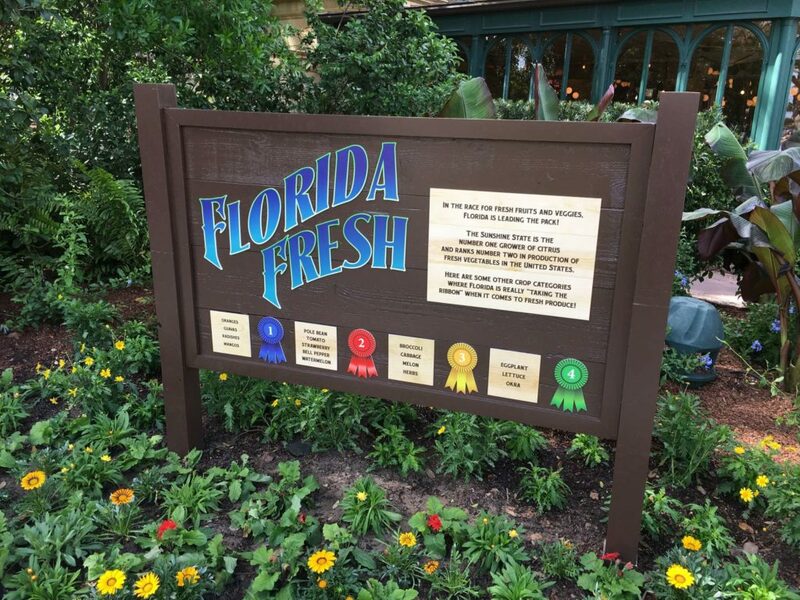 (And no, they are not iron-on patches unfortunately.) 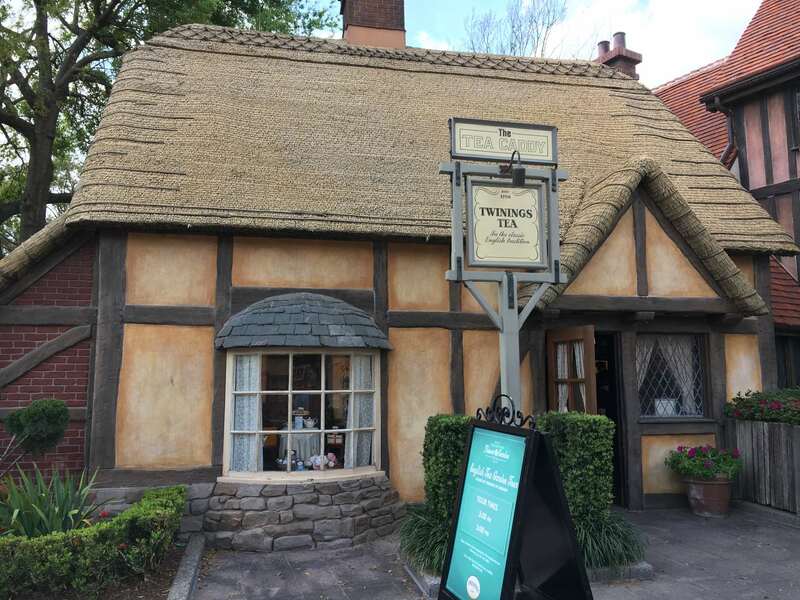 See the full list of hunt locations below! A look at all four prizes! 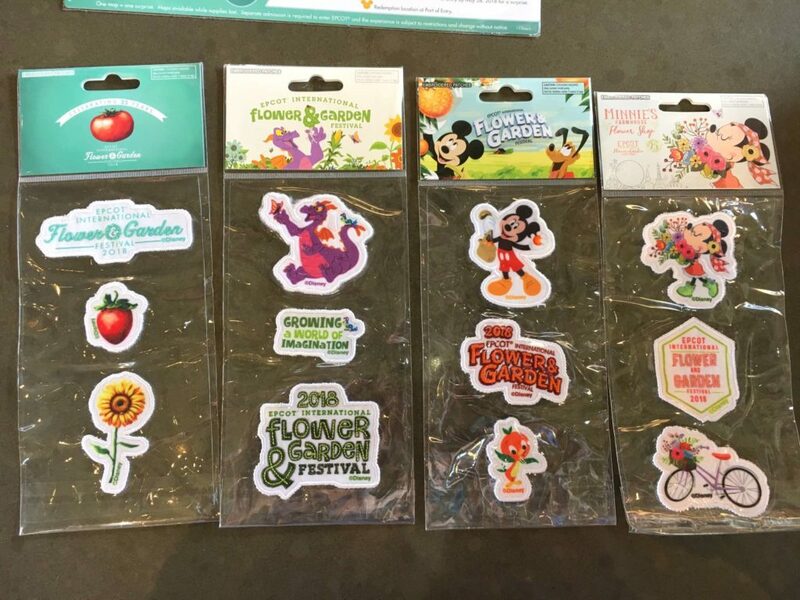 These exclusive patch sets each include 3 designs. 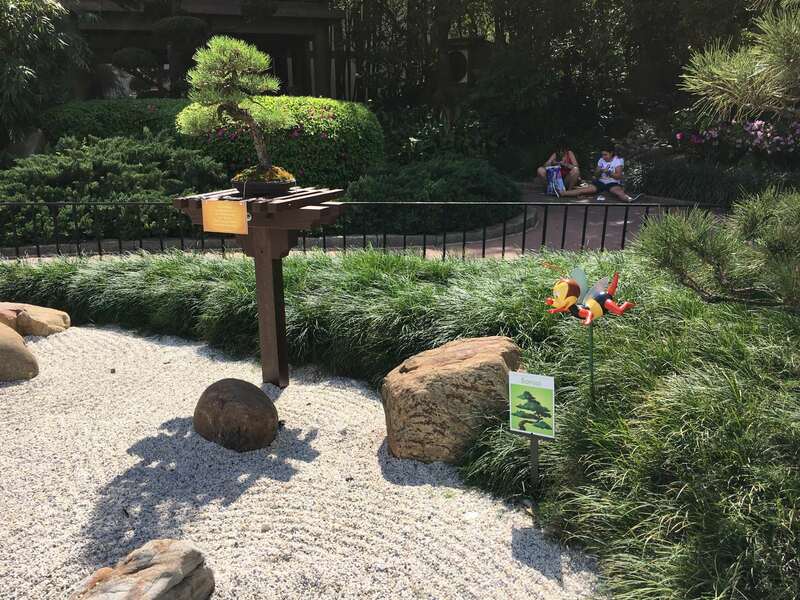 We’re showing you exactly where every Spike and garden is hiding in World Showcase, in order from left to right, around the world. Happy hunting! 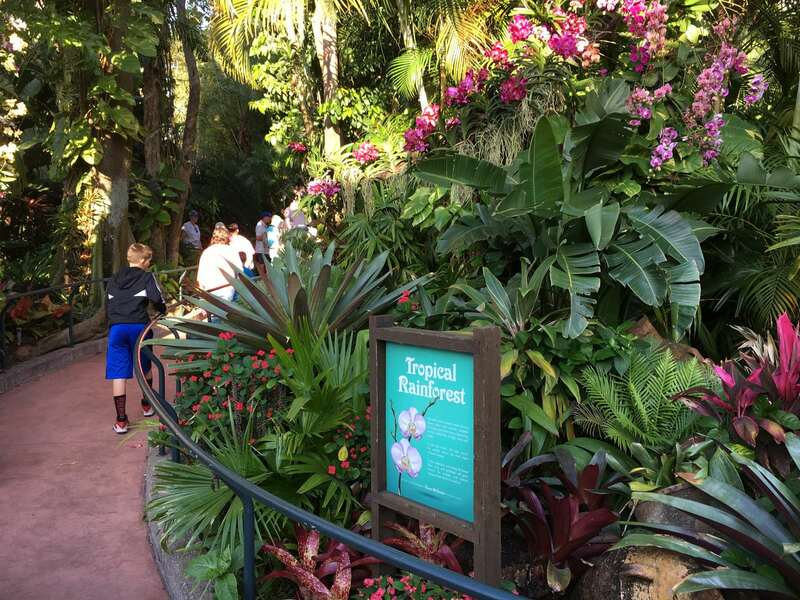 Just to the right of the pavilion’s huge pyramid you’ll find the Tropical Rainforest Garden. 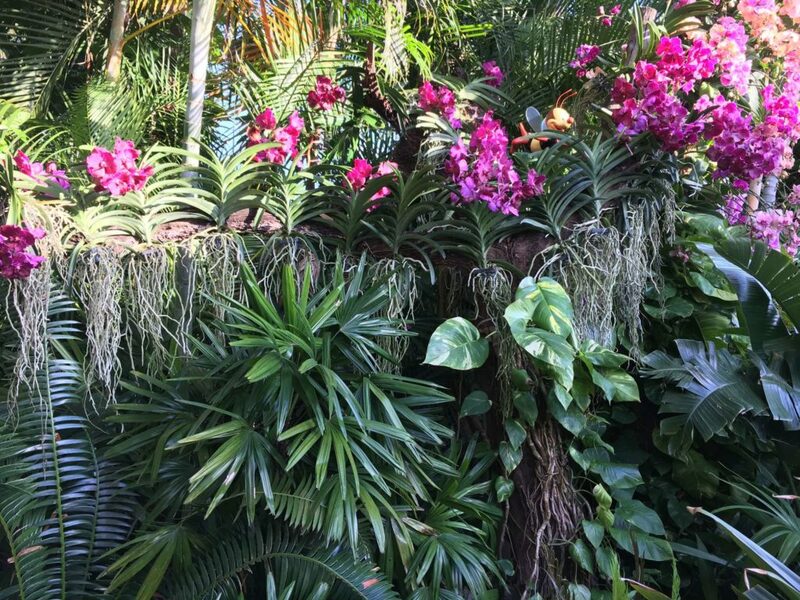 This garden features Orchids that climb up trees. 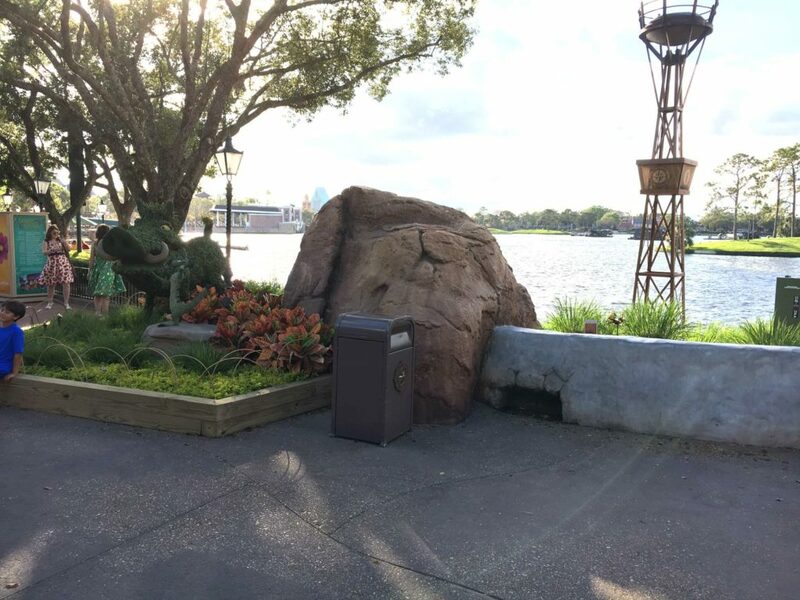 And that’s where you’ll find Spike, hiding up real high near the trees. 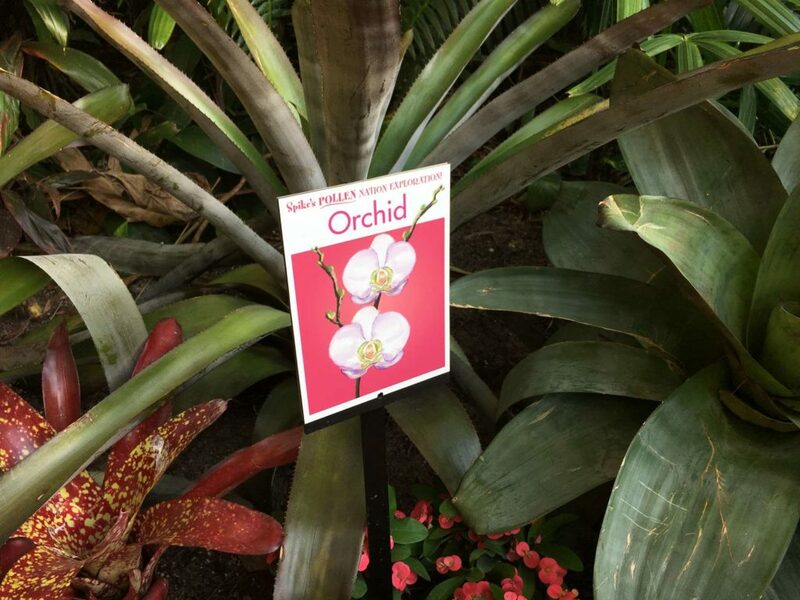 His little pollination sign can be found on the ground though, and it’s for an Orchid. 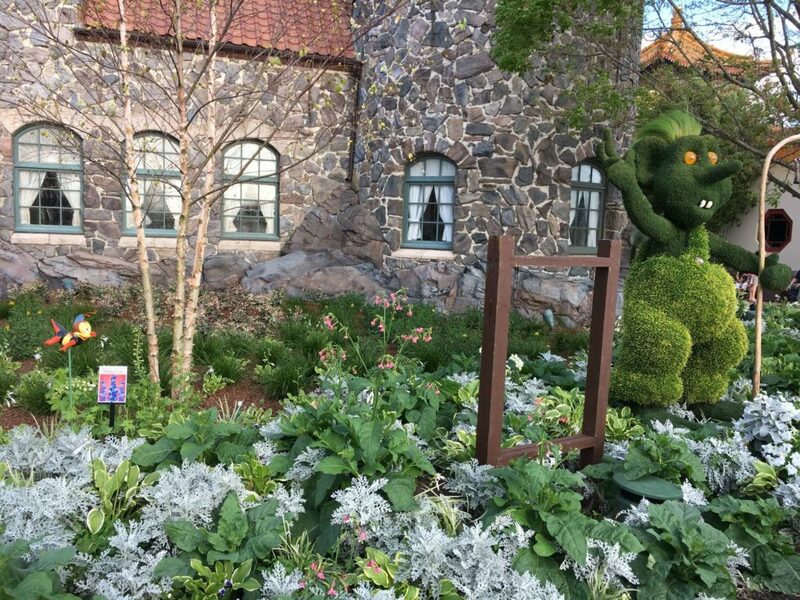 This garden is found on the right side of Norway, heading to China. 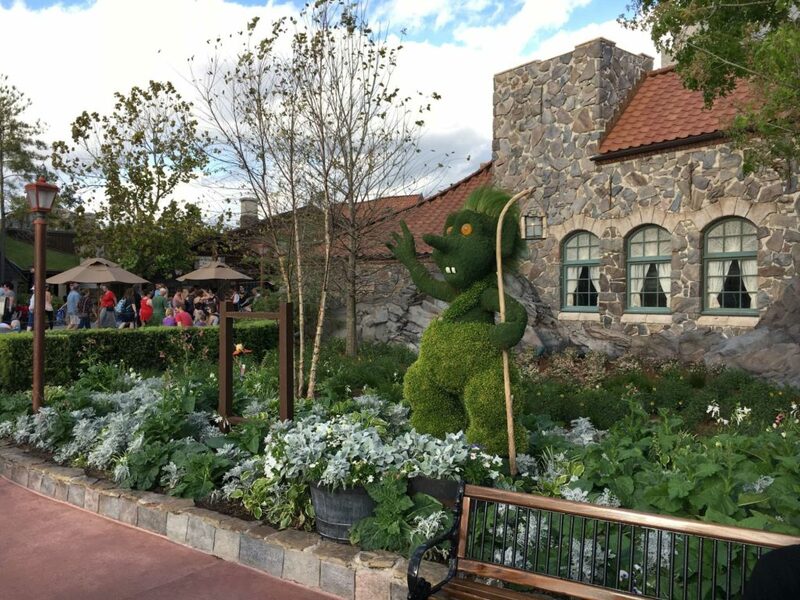 You can’t miss the big green troll topiary. 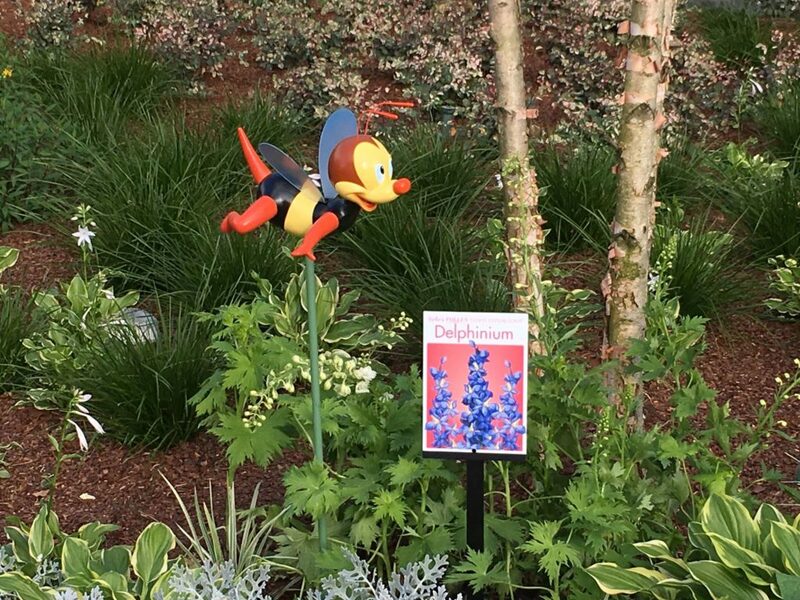 Spike is buzzing around to the left of the troll, and he’s pollinating Delphinium. 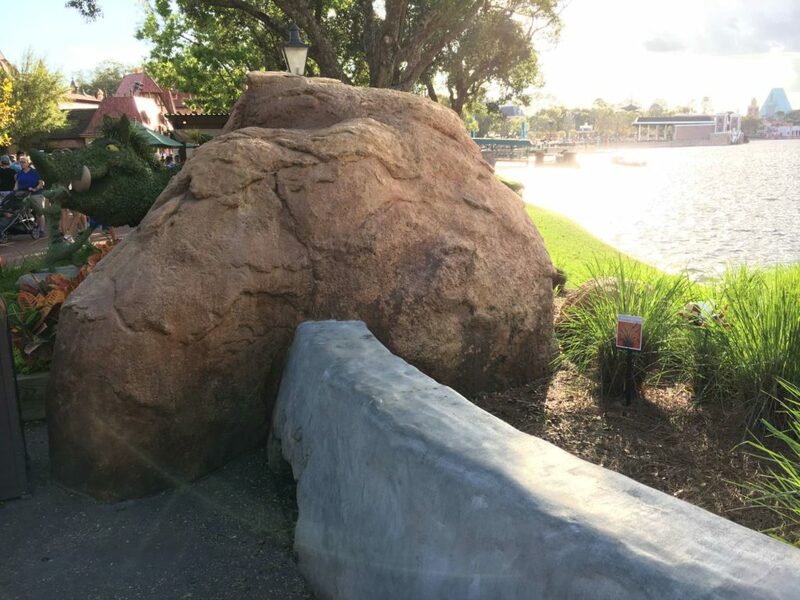 This is a real tough one! 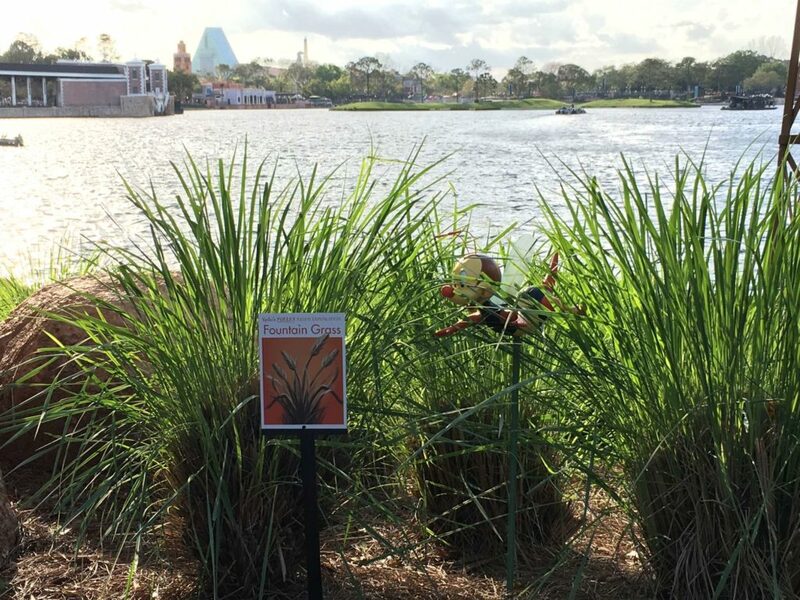 The “Savanna” garden can be found just to the right of Timon and Pumbaa topiaries, and outside the wall along the lagoon. It’s not so much a garden, but more the “Fountain Grass” that can be seen growing by the water. 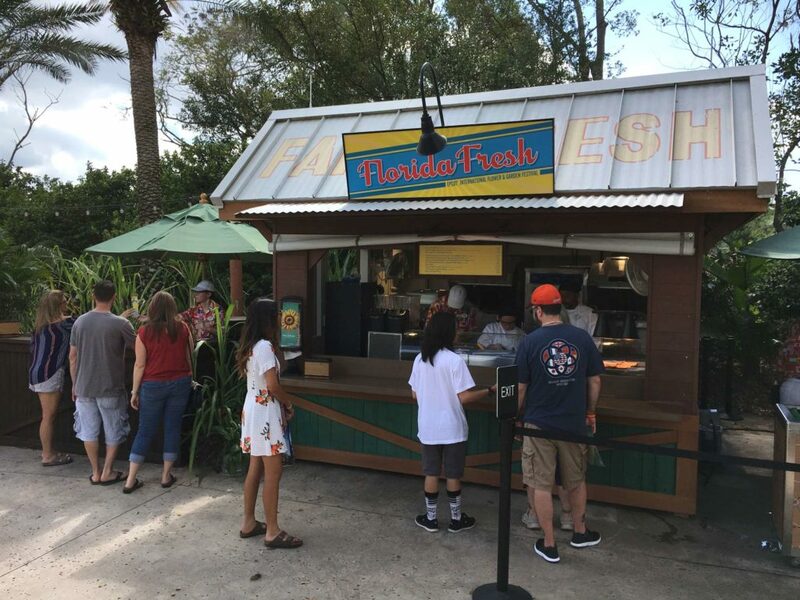 This one can be found near the bridge and Venice canal boats by the lagoon, just to the left of the of the Primavera Kitchen festival booth. 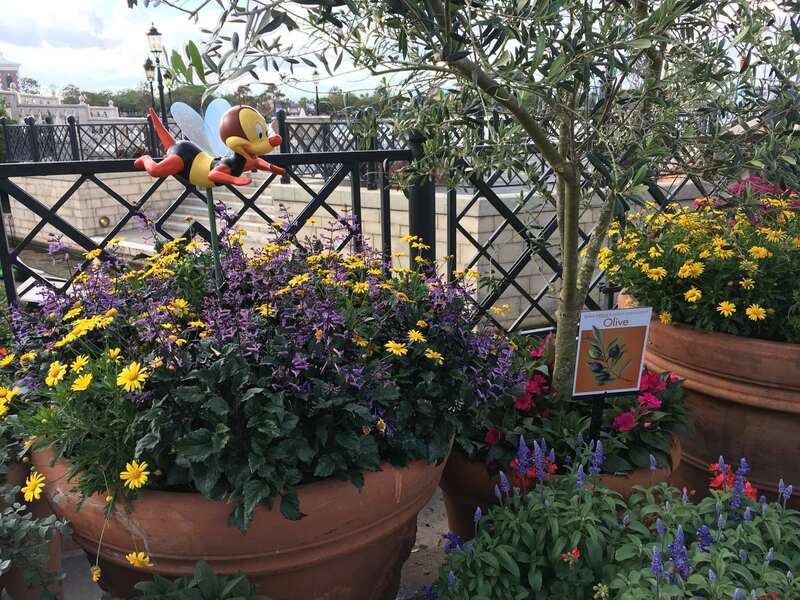 Spike is flying above some potted Olive plants. 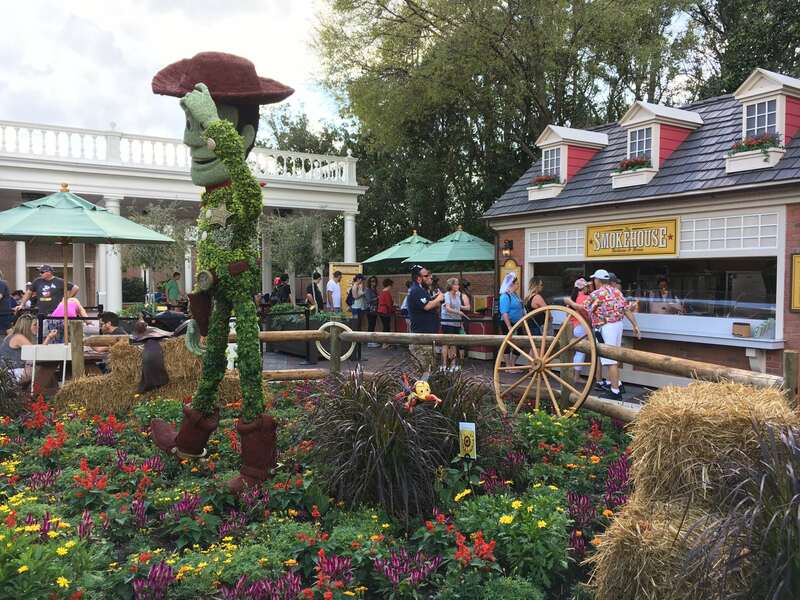 This garden is also in Italy, found just to the right of the Lady and the Tramp Topiaries. 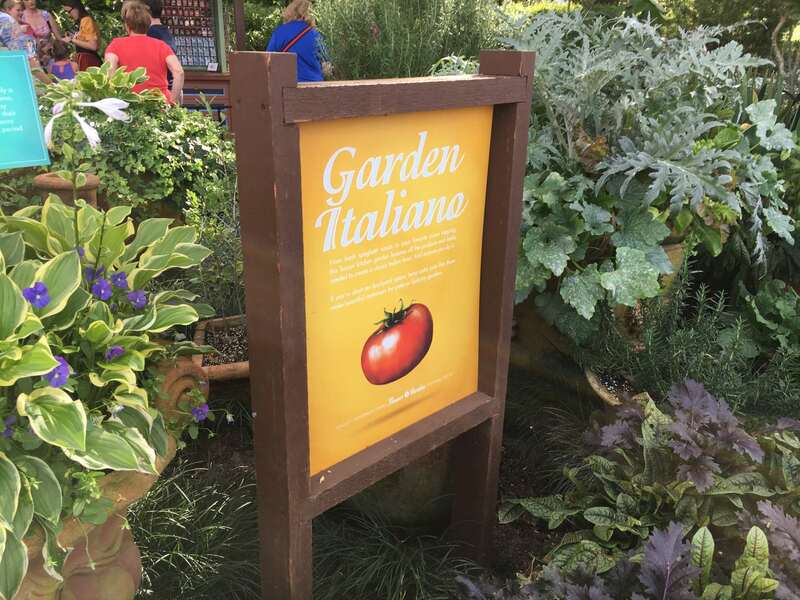 It’s located between Italy and American Adventure and is called Garden Italiano. Directly in front of The Smokehouse festival booth you’ll find Spike buzzing around the feet of the Woody topiary display. 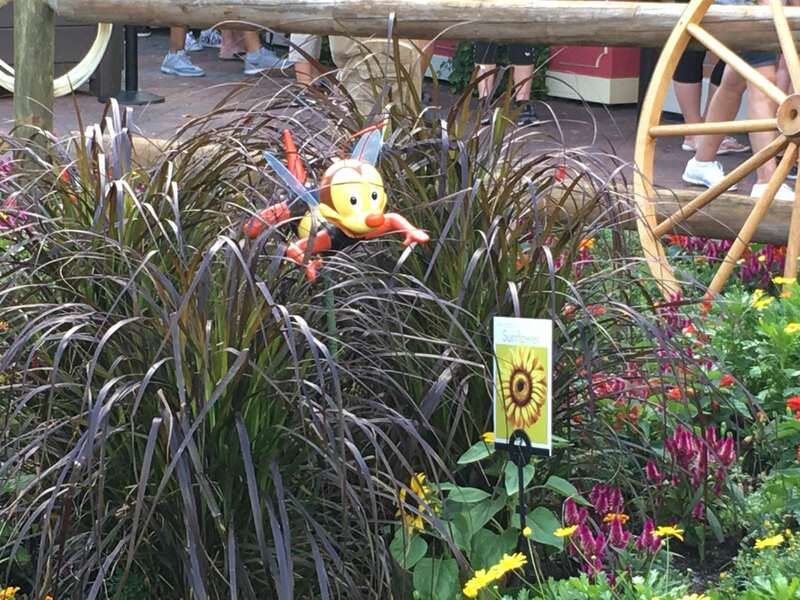 He’s pollinating a Sunflower in this garden. 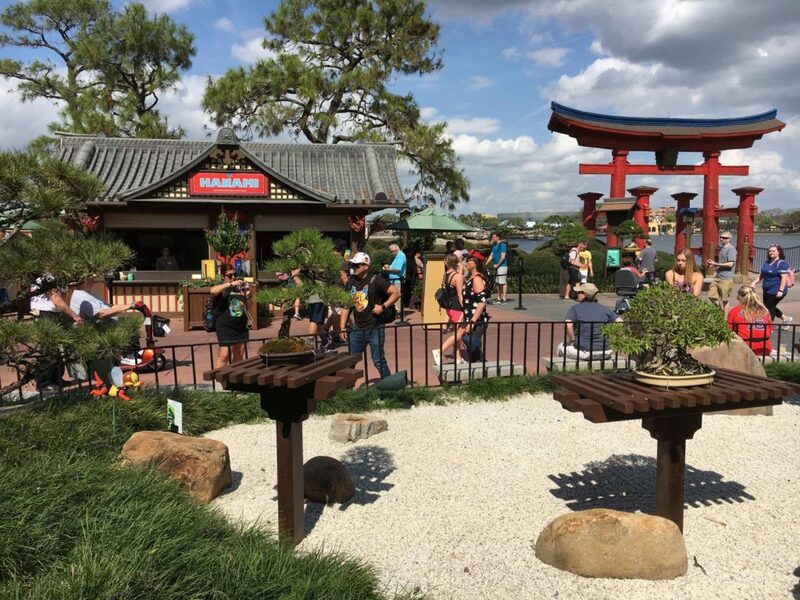 Look for the Bonsai garden directly across from Hanami, Japan’s festival booth, and Spike can be seen on the far right side of the garden. 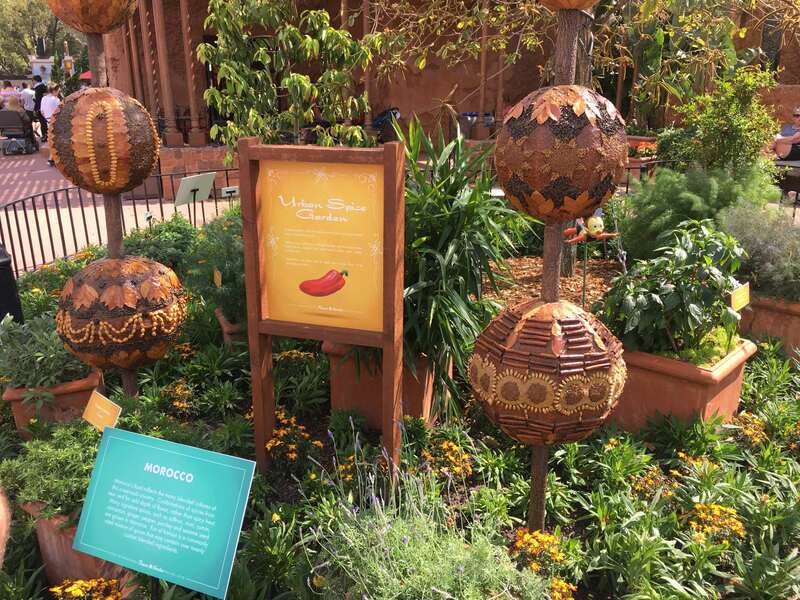 This is on the edge of the land, near the Morocco side. 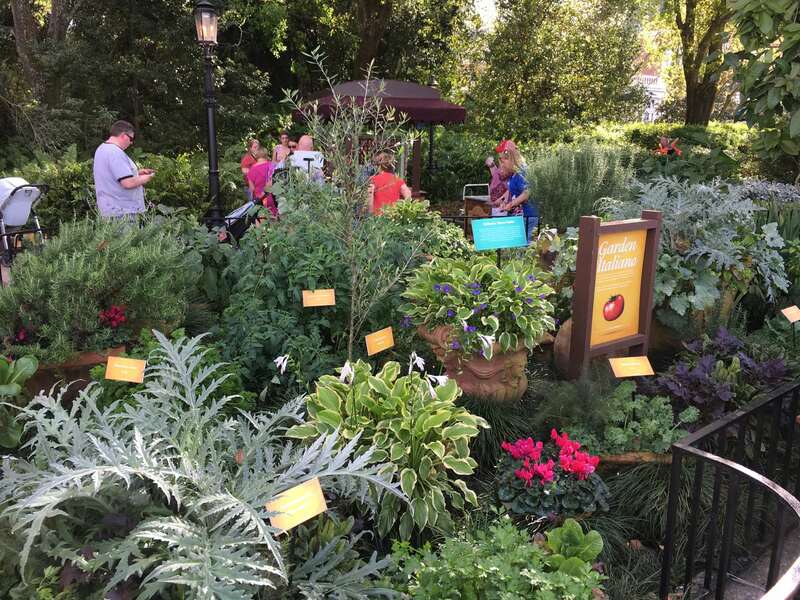 This garden is located just to the right of the Tangierine Cafe, in front of the restrooms. 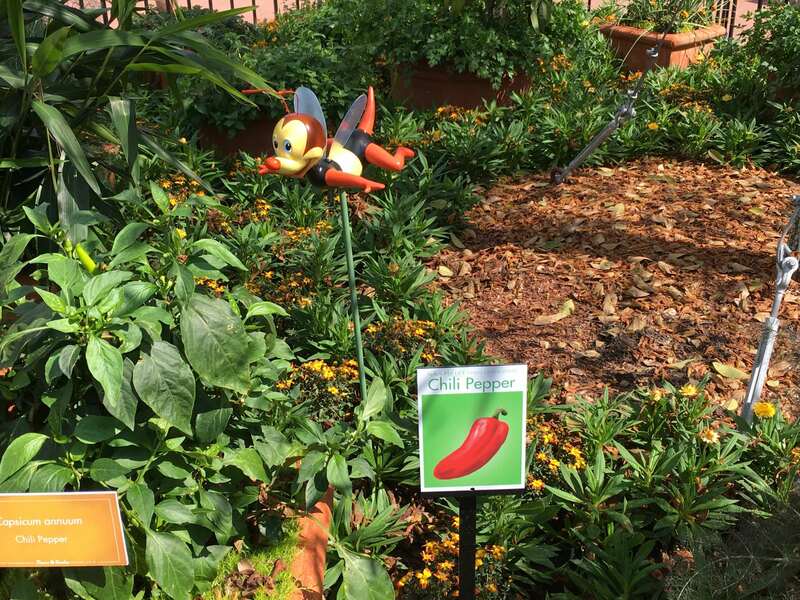 Spike can be found to the right of the Spice Garden sign pollinating a Chili Pepper. 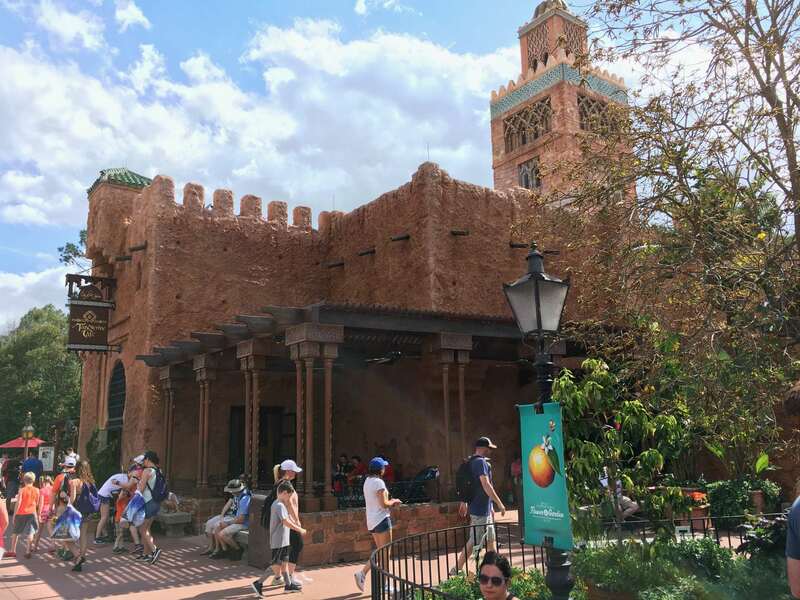 This area stretches between Morocco and France. 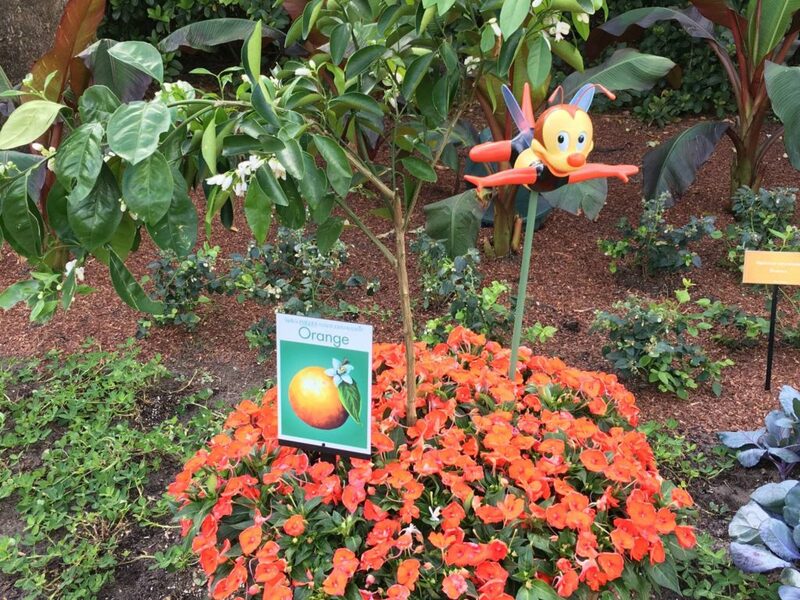 Spike can be found just to the left of the Florida Fresh food booth, pollinating an Orange tree. 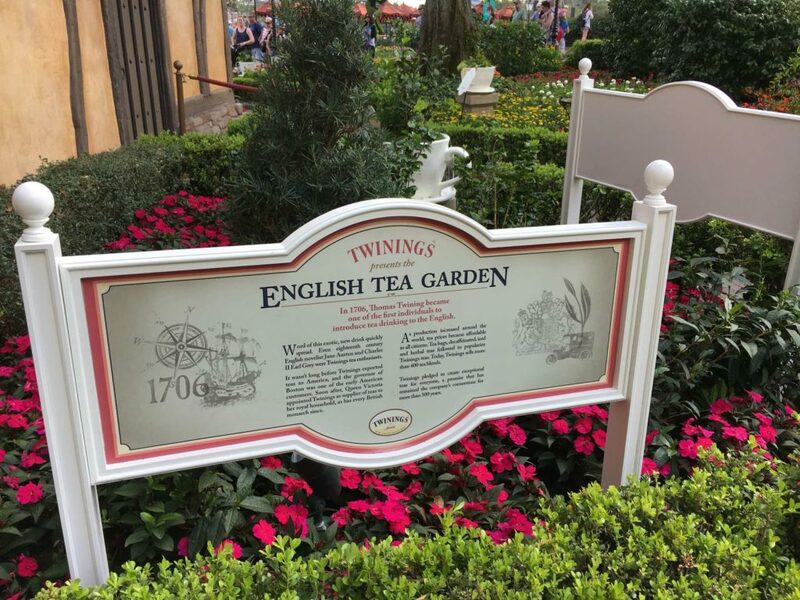 The English Tea Garden can be found on the farthest left side edge of the United Kingdom pavilion, closest to the France side. 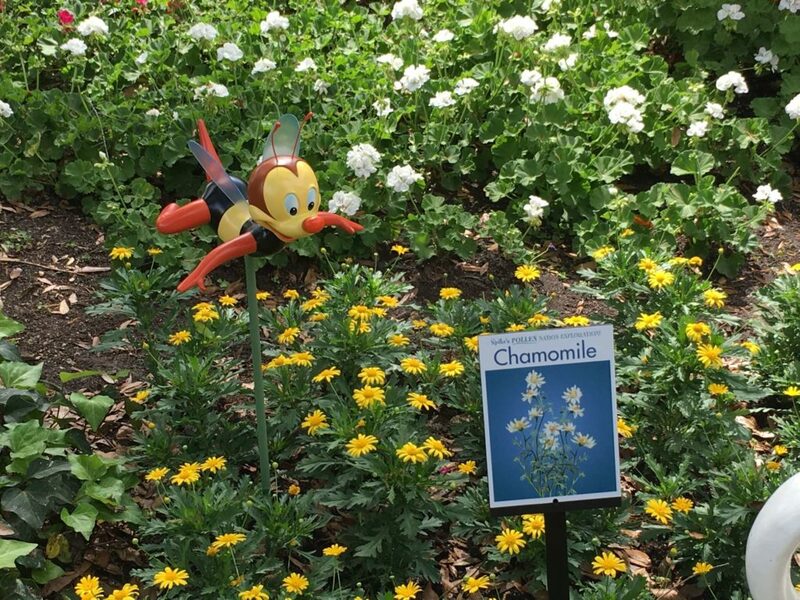 Spike is pollinating Chamomile at the end of the garden closest to World Showcase’s main path. 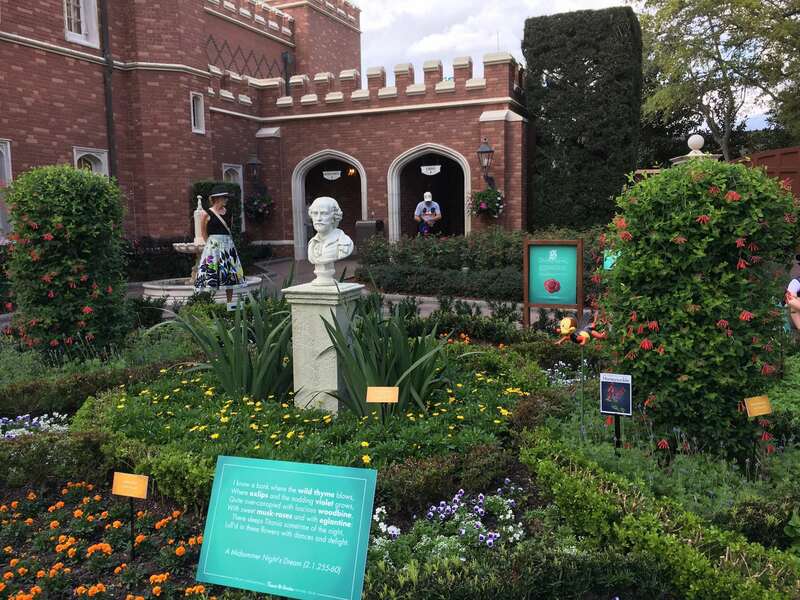 This garden is also at the United Kingdom, located in front of the restrooms at the right side of land closest to Canada. 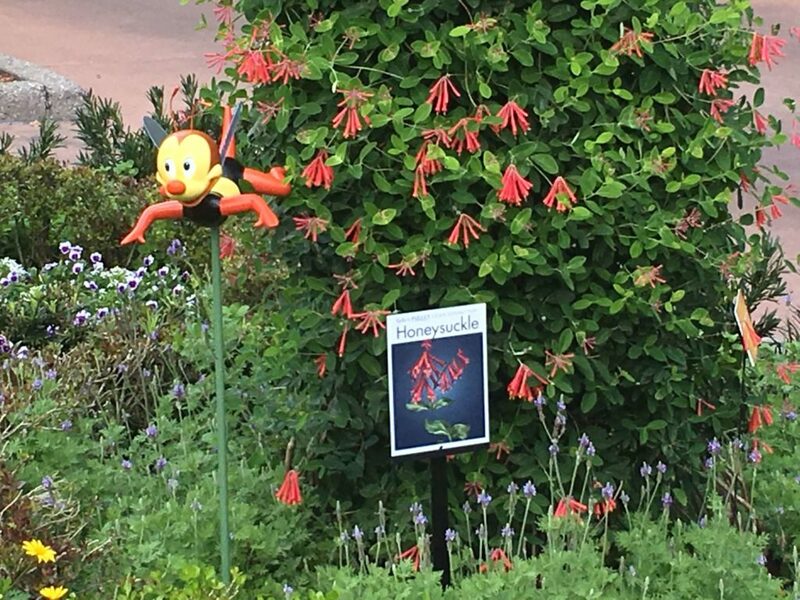 Spike can be seen pollinating a Honeysuckle. 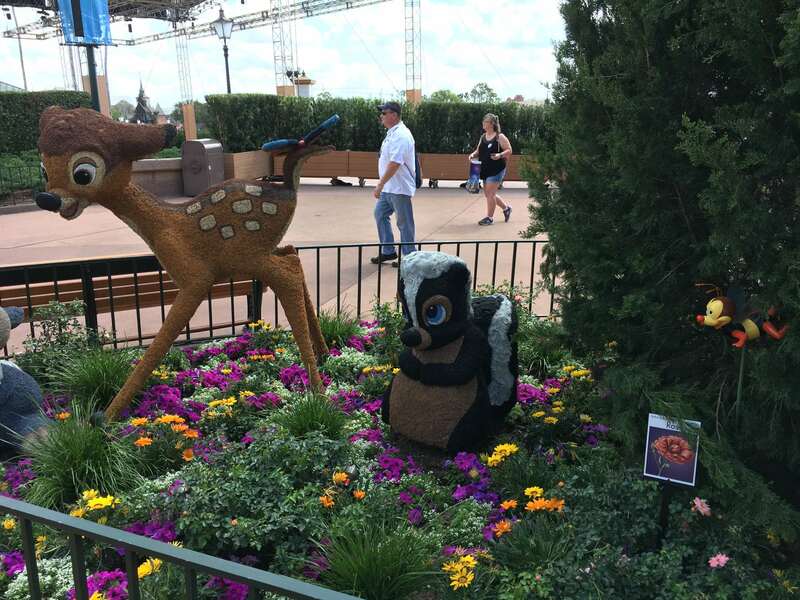 And finally, this last garden can be seen just outside the Port of Entry gift shop, on the left side, next to the Bambi and friends topiary display. 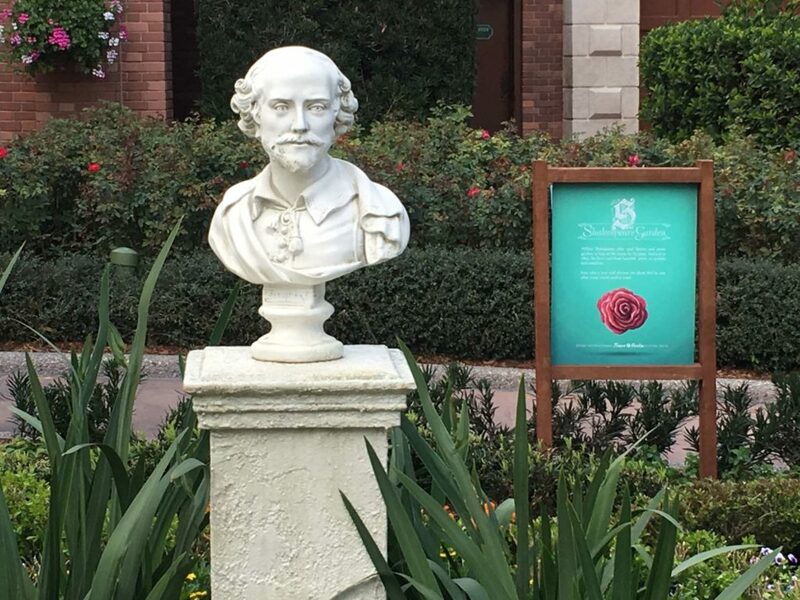 Our last sticker to find is the Rose here. 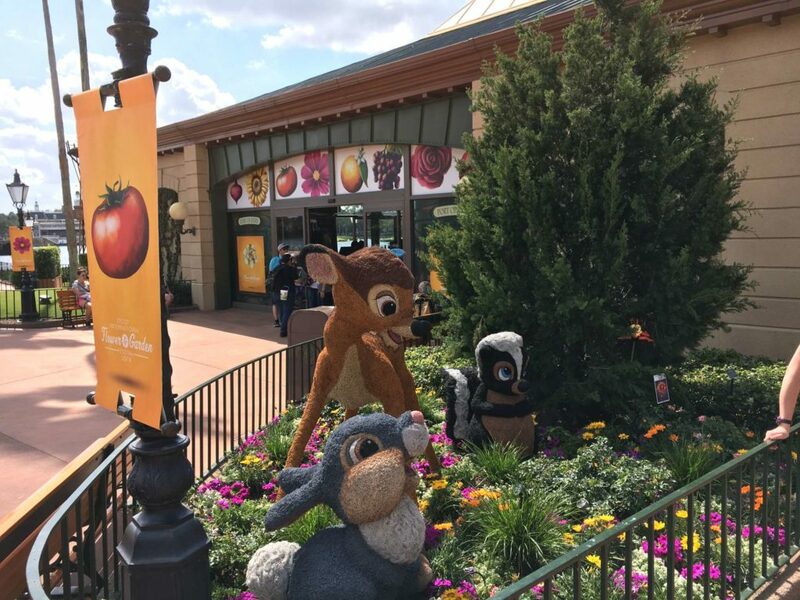 Here’s Spike flying around his good friends Bambi, Thumper, and of course Flower! 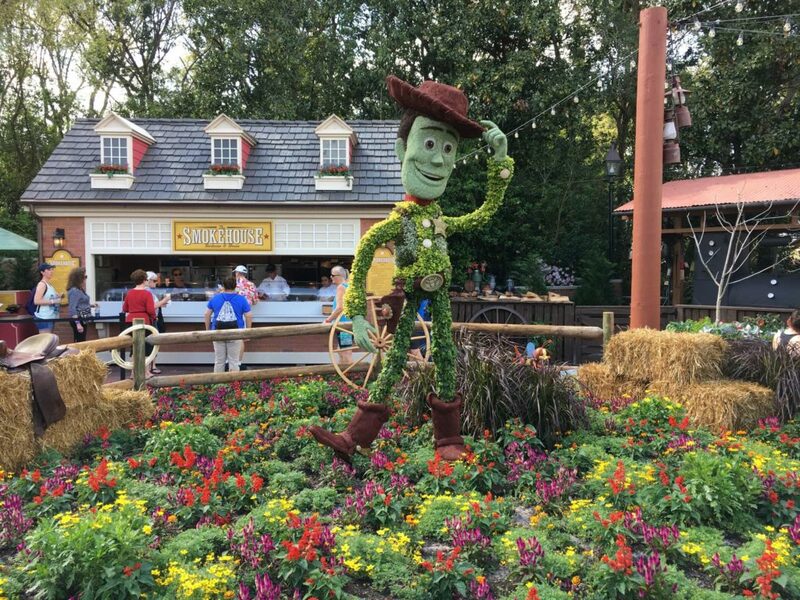 Hope you had fun finding Spike in all of the gardens! 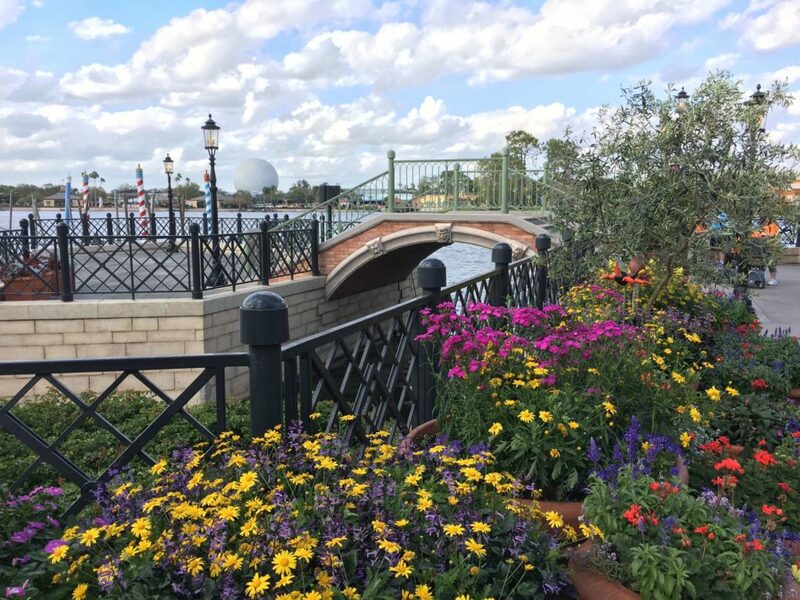 Be sure to check out our Complete Guide to the 2018 Epcot International Flower & Garden Festival for full food menus and concert lineup here and stay tuned for more theme park news coming soon.